ConceptDraw DIAGRAM extended with Total Quality Management TQM Diagrams Solution from the "Quality" Area is the best diagramming and vector drawing software that allows you to draw the quality control charts quick and easy. The quality control charts can be also univariate or multivariate. 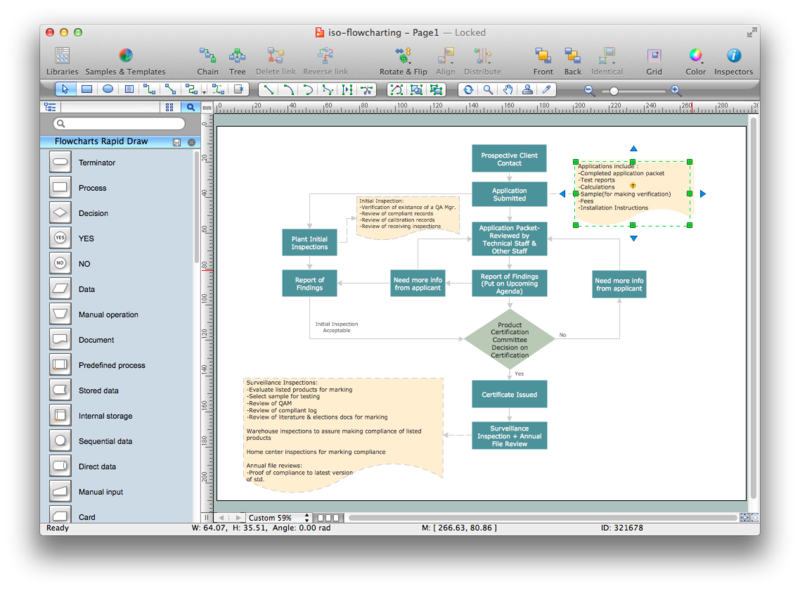 The Total Quality Management TQM Diagrams Solution from the "Quality" area of ConceptDraw Solution Park contains a wide set of predesigned templates, samples and TQM Diagram library. 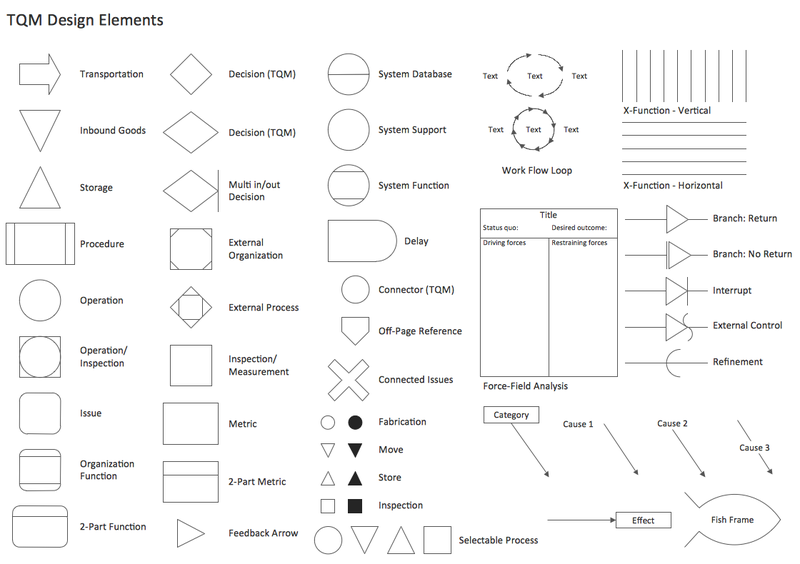 The TQM Diagram library of Total Quality Management TQM Diagrams Solution includes a great number of ready-to-use predesigned vector objects that will help you design the professional looking quality control charts in minutes. 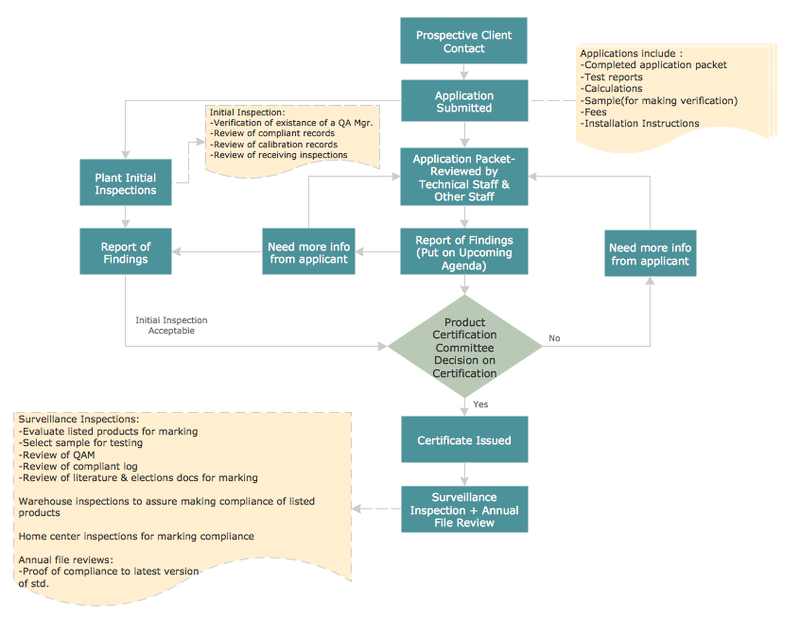 This sample was created in ConceptDraw DIAGRAM using the Total Quality Management TQM Diagrams Solution from the "Quality" Area of ConceptDraw Solution Park and shows the Quality Control Chart. An experienced user spent 10 minutes creating this sample. Use Total Quality Management TQM Diagrams Solution for ConceptDraw DIAGRAM to create your own Quality Control Chart of any complexity quick, easy and effective. The Quality Control Charts designed with ConceptDraw DIAGRAM are vector graphic documents and are available for reviewing, modifying, converting to a variety of formats (image, HTML, PDF file, MS PowerPoint Presentation, Adobe Flash or MS Visio), printing and send via e-mail in one moment. ConceptDraw DIAGRAM v12 diagramming and vector drawing software offers a powerful Seven Basic Tools of Quality solution from the Quality area of ConceptDraw Solution Park which contains a set of useful tools for easy drawing Flow Chart of any complexity. ConceptDraw DIAGRAM v12 diagramming and vector drawing software extended with Seven Basic Tools of Quality solution from the Quality area of ConceptDraw Solution Park provides effective tools for quality control and helps design any types of quality-related diagrams. ConceptDraw DIAGRAM v12 extended with Flowcharts Solution from the "What is a Diagram" Area of ConceptDraw Solution Park is a perfect flowcharting software which can be used to effectively: make a flowchart, realize flowchart construction, represent flowchart steps, create process flow models, describe flowchart processes, design data flow diagrams, and a lot more.